When temporary foreign workers come to Canada for a job, they must have a valid work permit that allows them to work for a specific employer. If that work permit expires, the foreign worker must apply to renew it. But what happens if the foreign worker can’t work due to a workplace injury and is fighting for workers’ compensation benefits? 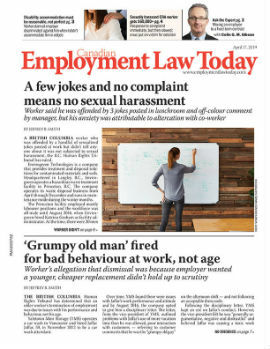 The Federal Court of Canada recently heard a case in which a temporary foreign worker in British Columbia, who was receiving workers’ compensation benefits and had other claims in the works, applied to receive a temporary residency permit in order to continue his workers’ compensation claim after his work permit expired. The immigration officer didn’t have all the information on the status of his claims and the foreign worker didn’t provide it. As a result, he faced the end of his time in Canada.